Huawei’s Honor smartphones generally offer great bang for the buck, and in India, they are available exclusively on Flipkart. 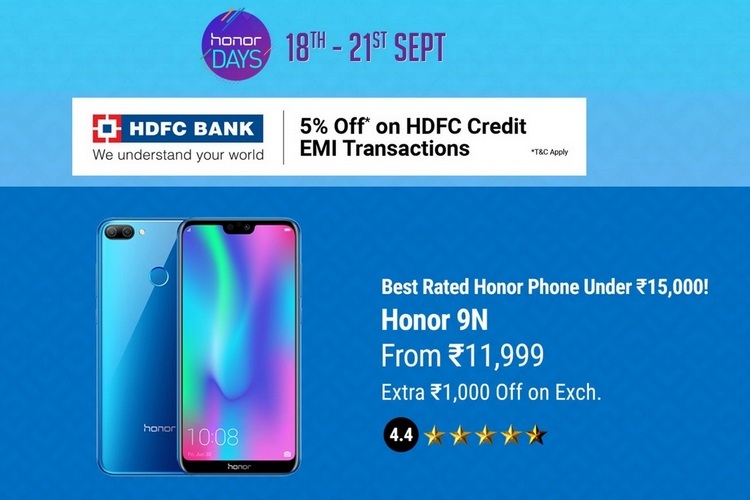 The retailer and the Chinese tech giant have now announced another ‘Honor Days‘ sale that will be held over a four-day period from September 18 to September 21. 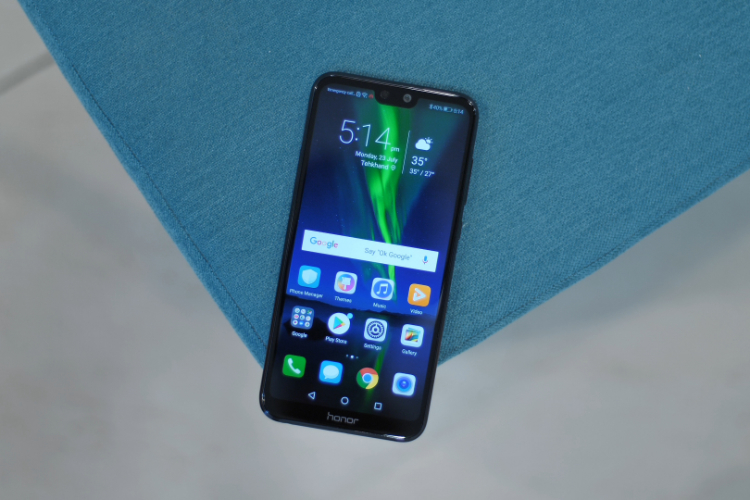 As part of the process, buyers will be eligible to get deals and discounts on a number of Honor smartphones, including the Honor 9N, Honor 9 Lite, Honor 9i and Honor 10. The recently-launched entry-level smartphone, Honor 7S, will also be up for sale on 19th and 21st, but there won’t be any deals or discounts to be had on the device. The biggest discount is being offered on the 6GB/128GB variant of the Honor 10, which will get a price cut of Rs. 5,000 and be available for a price of Rs. 27,999 during the promo period. It is generally listed at Rs. 32,999. The Honor 9i, the company’s first smartphone with a four-camera setup, is also getting a Rs. 1,000 discount, and is available at Rs. 14,999 instead of Rs. 19,999. Meanwhile, the Honor 9 Lite (4GB/64GB) will be available at its original price of Rs. 14,999, but with an additional Rs. 3,000 off on exchange. The Honor 9N is another device that will be available at its regular price (starting at Rs. 11,999), but at an additional exchange bonus of Rs. 1,000. The company has also announced two new color options for the Honor 9N – Robin Egg and Lavender Purple. Apart from all the aforementioned offers, customers will be eligible for 5 percent instant discount when using Axis Bank Buzz credit cards. The same discount will also be available for all EMI transactions made using HDFC Bank credit cards. No-cost EMI plans are also available on most of the devices. Check out all the Honor Days deals and discounts by clicking here.